According to Exploring Wines and Spirits, the textbook used for advanced studies at the Wine and Spirit Education Trust (London, 2003 ed. ), "This is a recent arrival on the scene, having been created in 1956, and currently accounts for only 1% of [Germany's] planting. 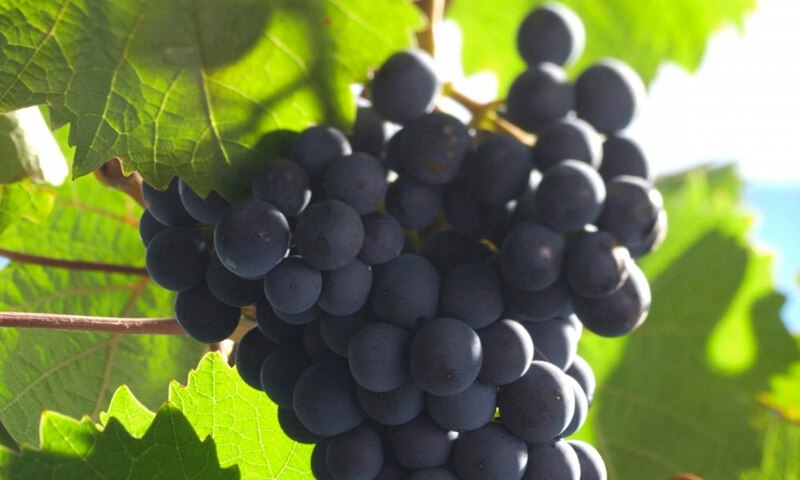 The Dornfelder grape has a red-coloured flesh and as a result produces wines which are deep in colour for German red wines. It ﻿﻿is perceived to have great potential." That potential will be explored in another publication when we look at California Dornfelder from German vines. Dornfelder also has a very interesting history worth reading. The grapes are dark skinned and large. They are often even ripening and resilient. The vines can reach depths of 6 to 7 feet deep and now thrive around the world. The first video has some age to it (2006 tasting of a 2000 Dornfelder) - Gary V's first Dornfelder from Germany. It's a little whimsical but the tasting really begins around 2:25 into the video. And for our German speakers, we're including a vintners' description of the varietal from Germany.